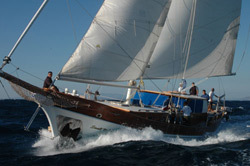 Blue Cruise also known as Yacht Charters, began in 1950 with a team of Turkish intellectuals. In those years, this adventure began with a simple gulet boat quickly developing in to the comfort of a hotel on the Ocean. Enjoying the sun and the beautiful waters of the Mediterranean making your journey a pleasant experience. You can also share your experience with other people on board, of all nationalities and of course with your family and friends. Think about it, you have saved all year so come and soak up the the sun with us, and enjoy good Turkish style experience with Ece Yachting. We can take care of everything with Ece Yachting, from booking your yacht cruise, airport transfers helping with accommodation before and after your cruise. We would like to hear from you, so contact us without delay, and allow us here to organize your dream holiday.